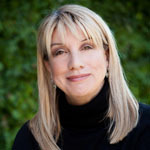 Rebecca Costa is a sociobiologist whose unique expertise is to spot and explain emerging trends in relationship to human evolution, global markets, and new technologies. A frequent speaker at the prestigious Rennaissance Conference, West Coast Green Conference, and major universities, Costa was the former CEO of Silicon Valley start-up, Dazai Advertising, Inc. (sold to J. Walter Thompson in 1997). Costa’s clients included technology giants such as Apple Computer, Hewlett-Packard, Oracle Corporation, 3M, Amdahl, Seibel Systems and General Electric. Raised in Tokyo, Japan, Costa lived during the Vietnam conflict in Vientiane, Laos, where her father worked in covert CIA operations. She attributes her natural ability to spot global patterns to a cross-cultural education and upbringing. She graduated from The University of California with a BA in Social Sciences and earned a master’s degree from Santa Clara University. Rebecca Costa lives on the central coast of California.